Nous sommes la beauté qui charme les plus forts. Nos baisers fugitives sont le rêve des morts! L’eau miroite en larmes d’argent. Sont verts et bleus comme les ondes. Nous cherchons de tendres vainqueurs. Offertes aux desires de vos terrestres coeurs. [We are the beauty which charms the strongest men. our fleeing kisses are the dream of the dead! the water gleams like tears of silver. are blue and green as waves. 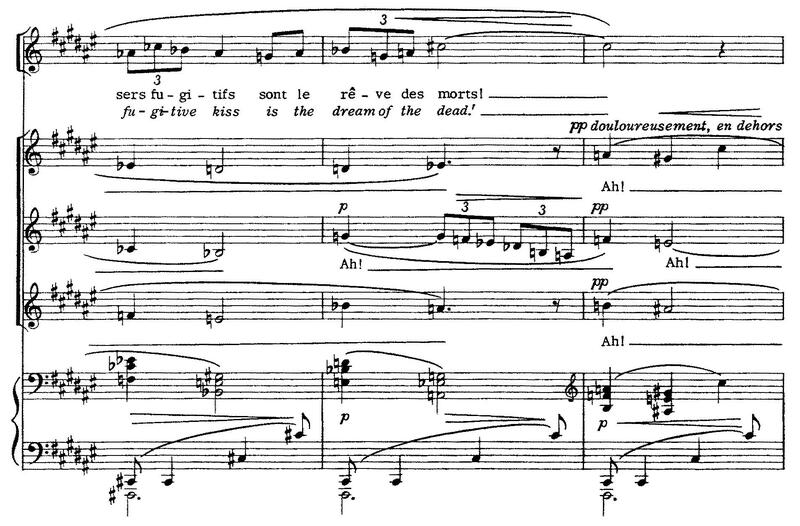 The second and third stanzas are sung by solo soprano, followed by the chorus singing the fourth. The song ends with a recapitulation of the opening stanza, once more with the offstage chorus singing “Ah” at the end as before. 1 Lili Boulanger, Les Sirènes (New York and London: G. Schirmer, 1981). 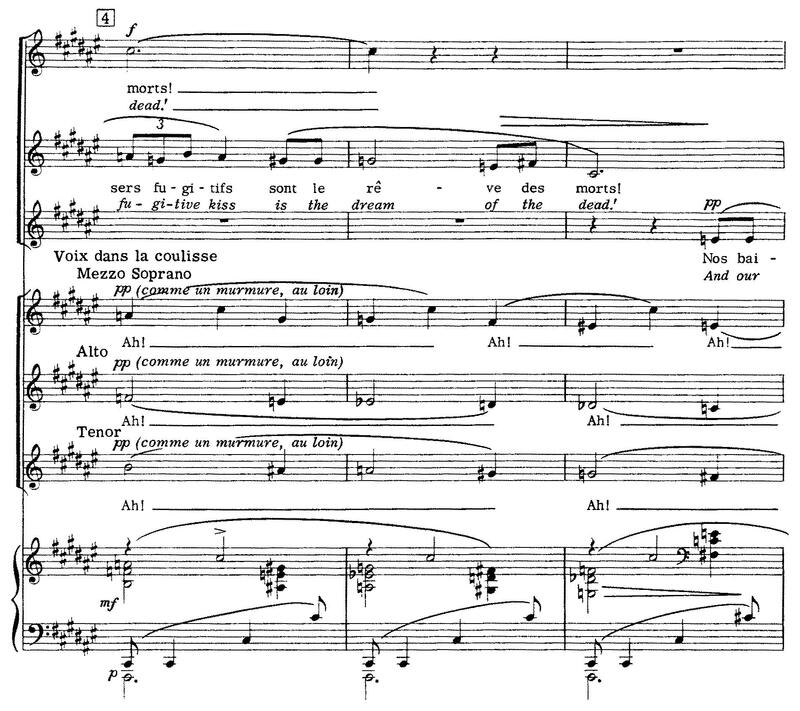 2 Translated by James Wood, liner notes to Clairières dans le ciel, by Lili Boulanger, Hyperion CDA66726, 10–11. 3 Lili Boulanger, Les Sirènes (New York and London: G. Schirmer, 1981).